Last fall, various national media outlets once again reported public concerns about the use of crumb rubber in artificial grass, particularly when it comes to the sports fields that kids play on. 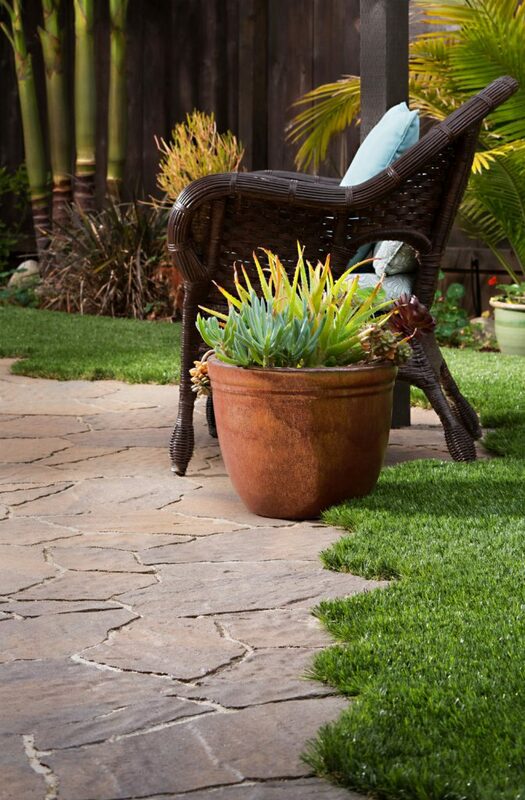 But when it comes to residential artificial grass applications, homeowners mistakenly think that all installations have crumb rubber in them. This is not the case. It is possible to have a beautiful synthetic lawn that is safe for your family and completely free of crumb rubber. Crumb rubber (also known as tire crumb or ground rubber) comes from tires that have been retreaded or are past their lifespan. The recycling process removes steel and tire cord, and after further processing the rubber is left in a granular consistency that is as small as 1mm in diameter. This is crumb rubber and, yes, its usage helps keeps tires out of landfills. Crumb rubber is frequently used as cushioning in recreational applications such as ground cover beneath playground structures, running track material and as infill between blades of artificial grass. Crumb rubber is a less expensive infill than natural alternatives, made from organic matter. Parents are concerned about crumb rubber for a number of reasons. First, children are very vulnerable to toxic chemicals that can be transmitted through their thin skin via cuts and scrapes, inhaled during play and accidentally ingested. Pet owners worry about it getting trapped between the toes of dogs and cats because they’ll later ingest it during normal grooming. Plus, unlike natural infill, crumb rubber is very easily tracked into the home as it tends to stick to clothes and shoes. The recent NBC News story that sparked nationwide awareness was linked cancer in young soccer goalies to the crumb rubber infill in the turf they played on. Unlike other team members, goalies are constantly hitting the ground in order to prevent the opposing team from scoring goals. As a result, they inhale and get more crumb rubber stuck on their clothes and skin than most sports players. You may watch the entire NBC News segment here. The Center for Environmental Health (CEH) recommends that schools replace artificial grass that has crumb rubber infill with an artificial grass product that has natural infill when feasible, in order to minimize children’s exposure to toxic chemicals. A brief written by Mount Sinai Children’s Environmental Health Center (in partnership with the CEH) states that given the existence of natural infill, crumb rubber should be avoided because the rubber, polycyclic aromatic hydrocarbons (PAHs), volatile organic compounds (VOCs), and heavy metals (lead, zinc, iron, and manganese) that can be found in tires have been linked to cancer in animals when they have been exposed at high doses. Note that these doses are much higher than would normally be found in artificial grass with crumb rubber infill, but the data is still eye-opening nonetheless. There is also concern that the chemicals in crumb rubber can potentially leach into the environment during rainstorms, though these studies are still ongoing. The Synthetic Turf Council released a statement supporting the safety of crumb rubber in response to the NBC story. It says that over the last few decades, over 60 technical studies have been conducted regarding crumb rubber as it pertains to inhalation, ingestion and dermal contact, as well as cancer and that no negative health effects have been identified. The Synthetic Turf Council states that artificial turf is used in over 4500 U.S. fields, tracks and playgrounds. Based on public concern, the U.S. Environmental Protection Agency commissioned a limited study on crumb rubber safety which yielded inconclusive data. The agency said that they could not reach “comprehensive conclusions without the consideration of additional data.” Read more about the EPA crumb rubber study. The EPA does say that the following chemicals may be found in tires, though admittedly not every tire. As a parent, I can’t say that I’m O.K. with my daughter ingesting or inhaling any of the chemicals on this list. 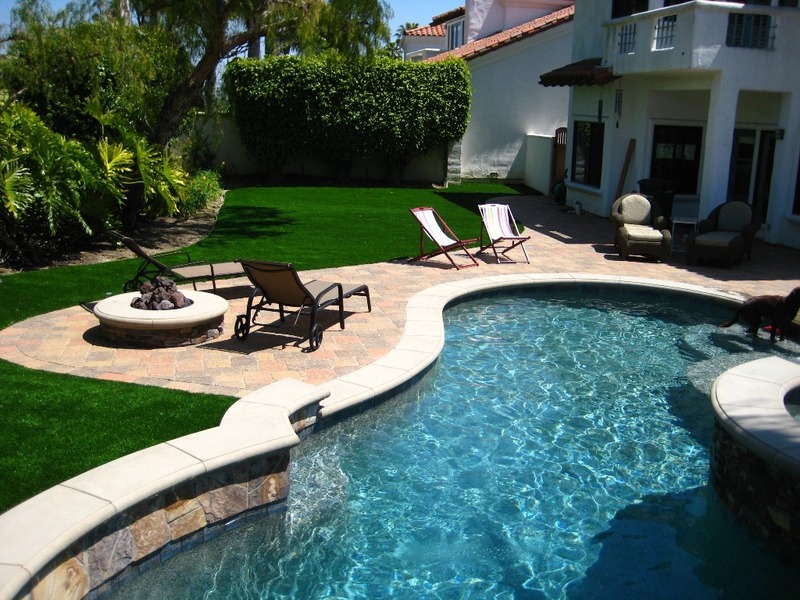 Homeowners can have gorgeous and water-wise artificial grass without the risks associated with crumb rubber. 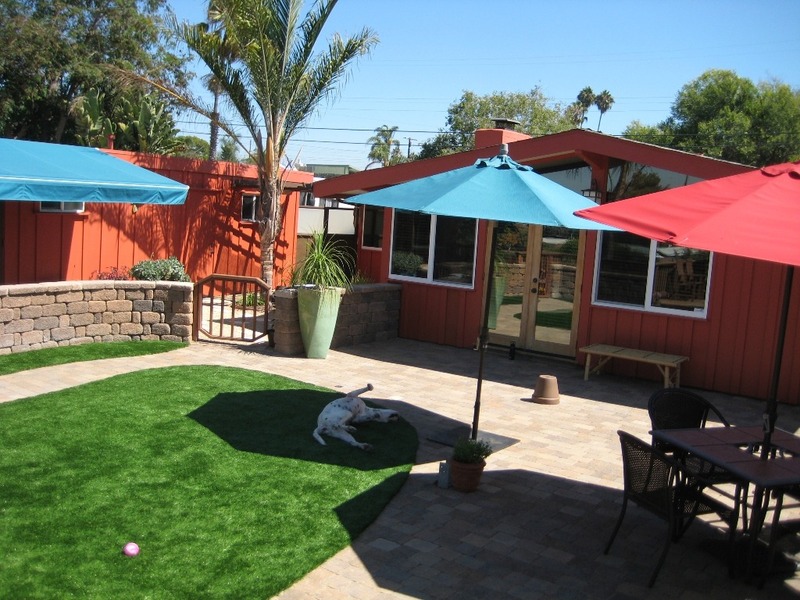 Install-It-Direct uses crumb rubber-free artificial grass from Global Syn-Turf. The product also has a light brown thatch built into the turf to make lawns look even more like real grass. In fact, Global Syn-Turf has never been a proponent of crumb rubber infill and advises all of its installers to use organic infills—some of them are made from the purest 98% Clinoptilolite zeolite which is volcano ash that landed on purified water millions of years ago. In fact, as a company committed to consumers with eco-friendly sensitivities, they claim not to have sold a single particle of crumb rubber in any of their installations. The Center for Environmental Health recommends that exposure to recreational surfaces with crumb rubber be minimized on hot days to avoid burns resulting from the hot crumbs. Children should wash their hands immediately after playing while all clothes and shoes should be cleaned. Turf burns and scratches should be immediately cleaned with soap and water. Shoes should always be worn while playing on these surfaces. The benefits of artificial turf are great in a drought-cursed state like California. Over time, the cost of installation will be offset by irrigation, fertilizer and gardener fees saved. Not to mention that right now there are rebates for replacing existing lawns while funds last. Has the idea of crumb rubber deterred you from installing artificial turf? If not, what has? Ask any question. We’re here to help.